I’m so happy to announce that I’m now working with Kanile’a Ukulele! 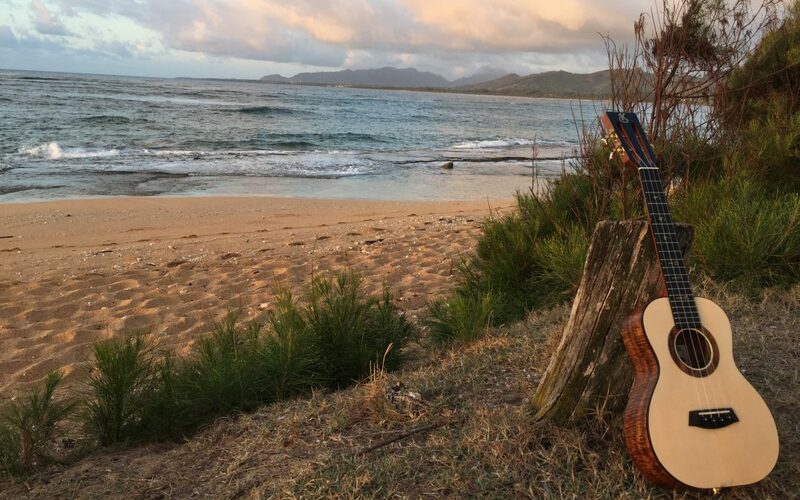 This beautiful tenor ukulele was made with teaching and performing in mind. Featuring a spruce top, koa back and sides, this ukulele uses a Kanile’a exclusive ‘Silk’ finish that gives it a nice smooth feel, with a texture that doesn’t reflect back as much light as a high gloss finish would. It also has a slotted headstock, fitted with Gilbert tuners, and a Kanile’a pickup system that sounds spectacular. The best feature though, is the fretboard markers! Using Hawaiian sand, the fret numbers are inlayed into the fretboard. This helps with my online lessons through Skype and FaceTime to allow my students to see exactly where my fingers are. This ukulele has become my workhorse since I’ve received it. I use it everyday in my private teaching, and it’s now my primary performance instrument because of how good it sounds amplified. Check out this video showing it off! Liked it? Take a second to support Matt Dahlberg on Patreon!